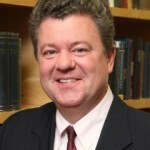 Dr. Mark Thornton: Why Keynesians Have A Phobia For Deflation - Wall St. for Main St.Wall St. for Main St.
Wall St for Main St welcome back Dr. Mark Thornton, who is a Austrian economist and Senior Fellow at the Mises Institute. In this podcast, we discussed the differences between Keynesian economic and Austrian economic on deflation, interest rates and the boom/bust cycle. Find out why the government and central banks fear and loathe deflation!